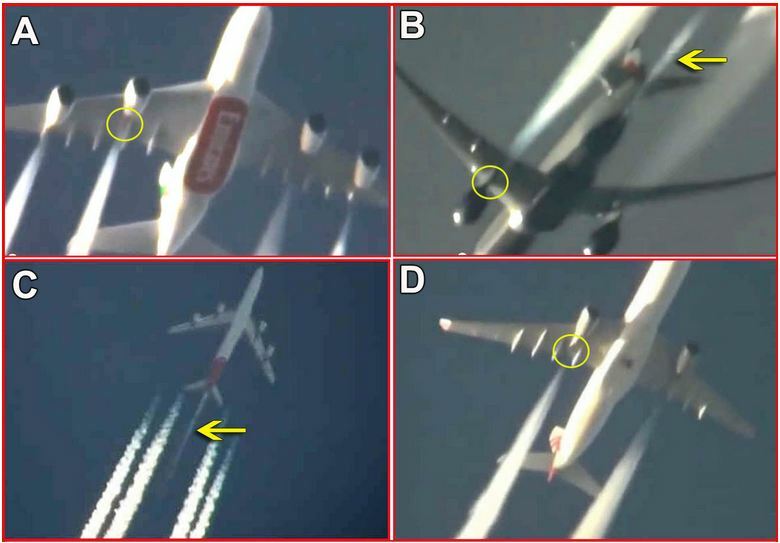 CHEMTRAILS: Why In The World Are They Spraying? Many observers of the past two decades of covert aerosol geo-engineering adopted the term “chemtrails” to describe unnatural emissions and trails originating from military jet engines. If the term Chemtrails originated at the DoD we could suspect the term came into wide civilian use when a cadet or instructor repeated it so often that “Chemtrails” was adopted by civilian observers to describe unusual jet aircraft contrails. To their credit, the Oxford dictionary provides an accurate description of chemtrails even if they failed to list the US DoD as the original published source. Origin: 1990s: blend of chemical and trail, on the pattern of contrail (Source): In etymological terms, the origin of a word is very important. Regardless the intended definition, history clearly shows the term “Chemtrails” originated at the US Department of Defense as the title for a Chemistry manual used at the Air Force Academy cadet training program in the early 1990′s. Two editions of the “Chemtrails” manual are known to exist – A 200 page version for the 1990 Fall class and a 232 page version for the 1991 class. The course title “chemtrails” was so popular as to be adopted by the DoD for at least two academic years (1990-1991).